Sacramento) The Bureau of Reclamation will reduce water releases from Nimbus Dam into the American River from 1,750 cublc feet per second (cfs) to 1,500 cfs on September 6, much to the consternation of anglers and conservationists concerned about the low water conditions that fall-run Chinook salmon will face as they enter the river this autumn. The reason? “Storage conservation,” claimed Randi Field, Reclamation spokesperson. The ramping down in releases took place after Reclamation reduced releases from Nimbus Dam from 3,250 cfs to 2,000 cfs by August 21 and then cut releases from 2,000 to 1,750 cfs on August 26. The reduction in releases comes as Reclamation has all summer dumped high releases of up to 5,000 cfs into the river for export by San Joaquin corporate agribusiness interests and Southern California water agencies. 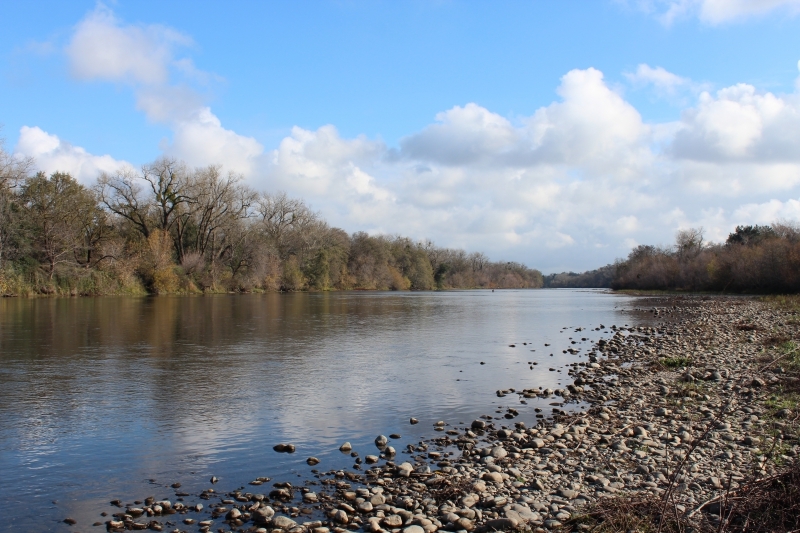 The American River fall Chinook run is a significant contributor to the ocean and river salmon fisheries. From 1996 to 2015, the American has provided 19 percent of the fall Chinook salmon returning to the Sacramento River system, the driver of West Coast salmon fisheries. A total of 19,013 adult salmon and 6,935 jacks (two-year-old fish) returned to spawn in the American in the fall of 2015, according to CDFW documents distributed at the annual salmon information meeting in Santa Rosa on March 2, 2016. When the river becomes low and warm, both salmon and steelhead, which need cold water conditions to spawn, rear and migrate, are imperiled. Fortunately, the water temperature on the American River is relatively low for this time of year, 65-½ degrees to 66 degrees. The Nimbus Fish Hatchery ladder will go in on November 1, according to Gary Novak, hatchery manager. Fishing pressure on the American remains light, due to the slow salmon fishing.